MKS-335TL | KWI Technology Inc. 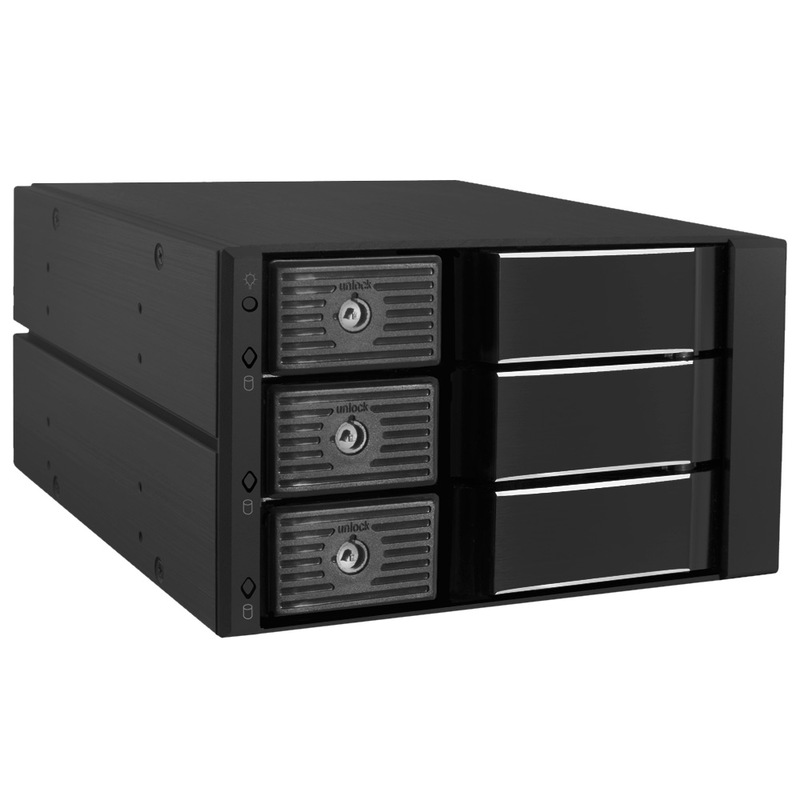 The MKS-335TL is a case-less, 3-bay hard drive rack that is in a league of its own. 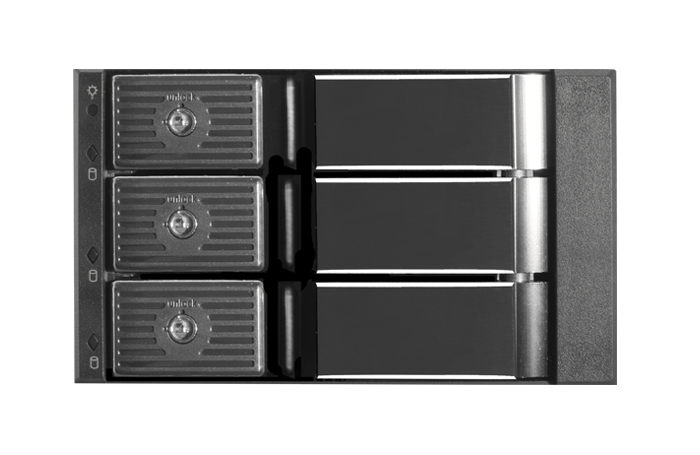 Its installation is similar to that of a CD-Rom with the power and data connections being supported by a SATA 7 pin and 15 pin Serial ATA power connectors. When these connections are done well at the rear of the rack, it becomes fully functional. Its capability to quickly be ready for work makes it worthy buy. 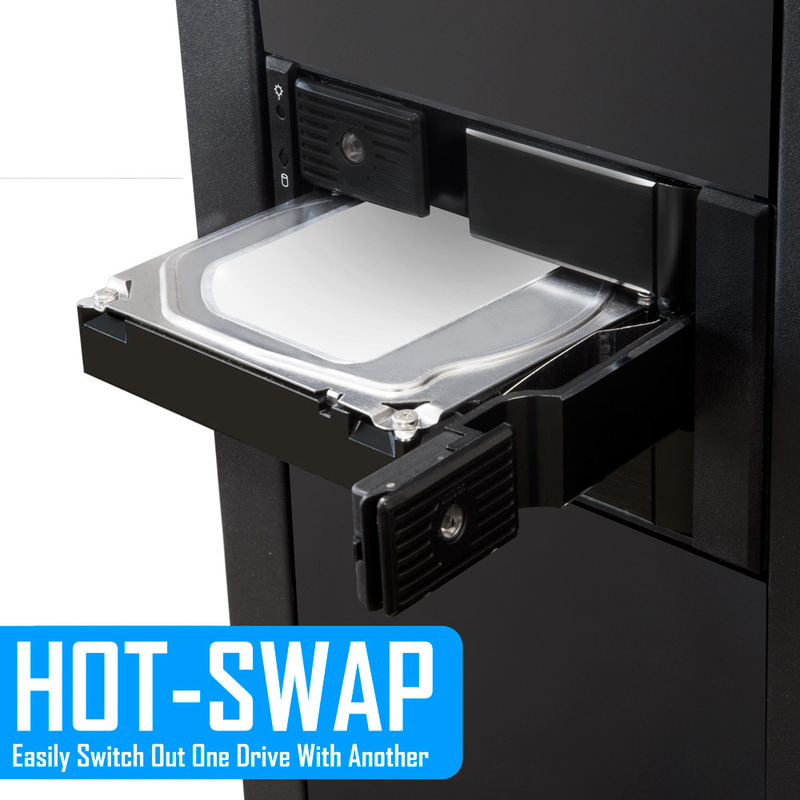 Using the hot swap rack is quite easy because of its latch door that opens effortlessly allowing you to put in the hard drive. 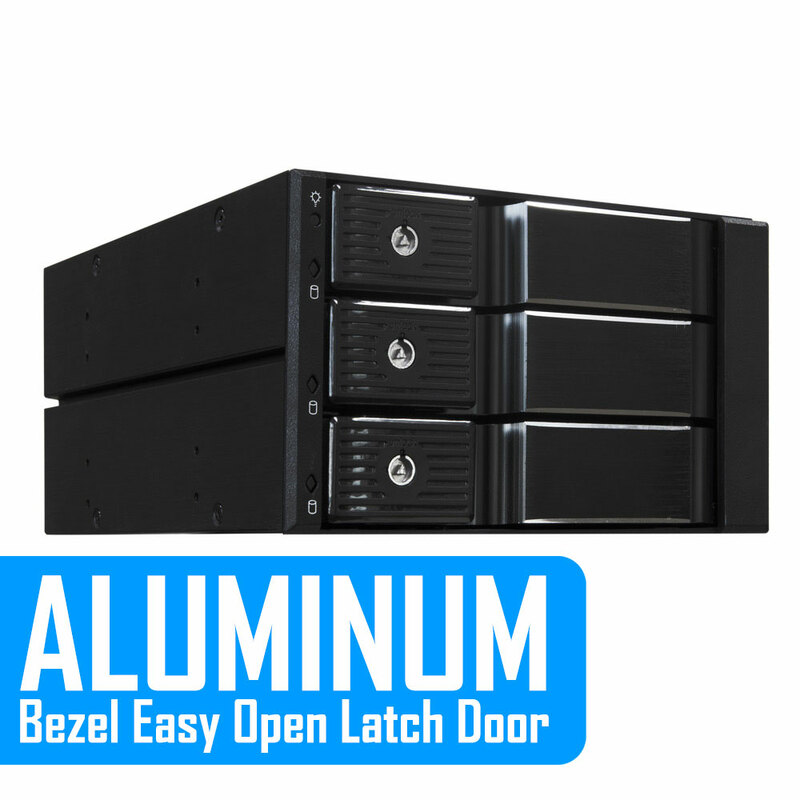 Its click sound when the door is firmly locked, gives a go ahead that it is ready for use and also ensures that valuable data is protected. 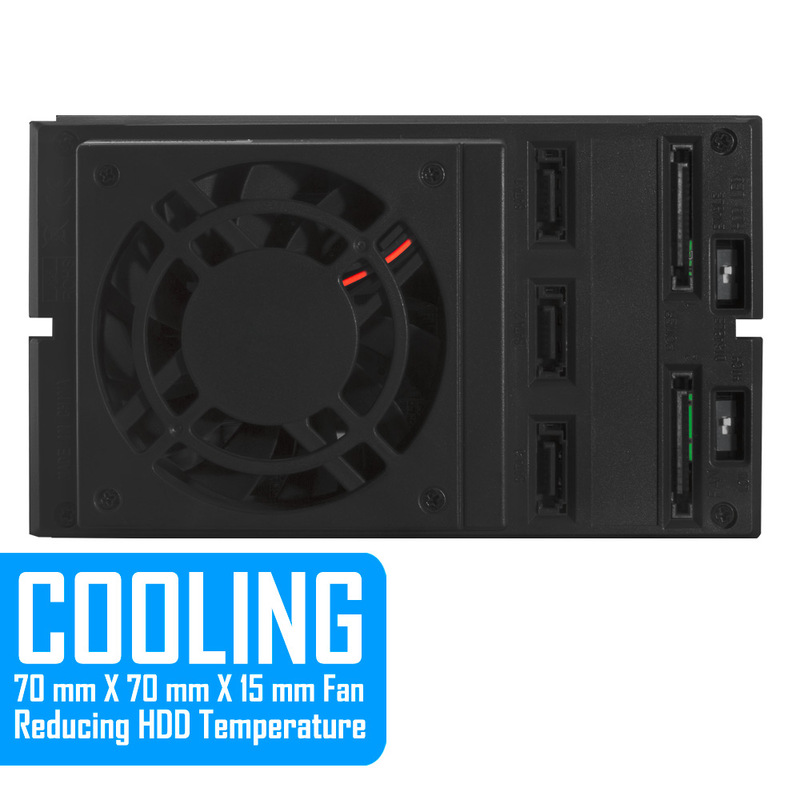 Its cooling fans are the 70 x 70 x 15 mm type that is surprisingly quiet for the type of functionalities it handles when on its maximum speed. 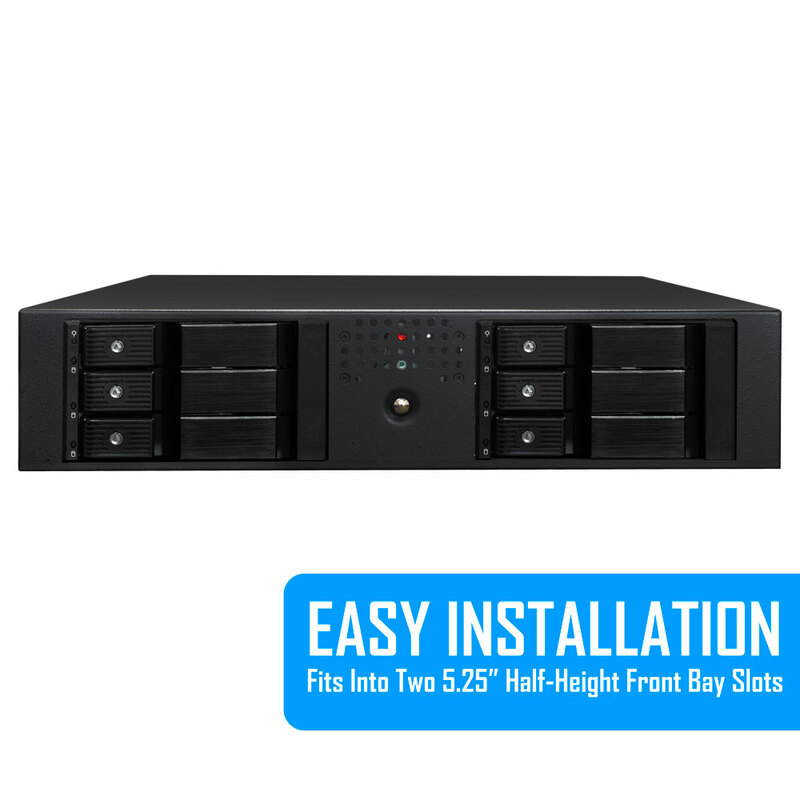 It also has a fan speed control switch that is used to regulate how fast they turn ensuring that the rack does not get overheated or overworked. 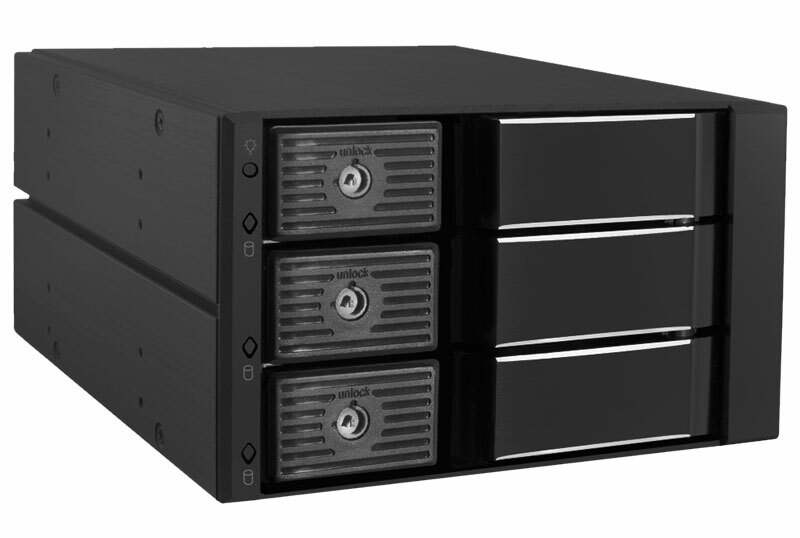 IT consultants, both independent and at organizations prefer this rack because of its ability to boot more than one operating system when installed in a computer. 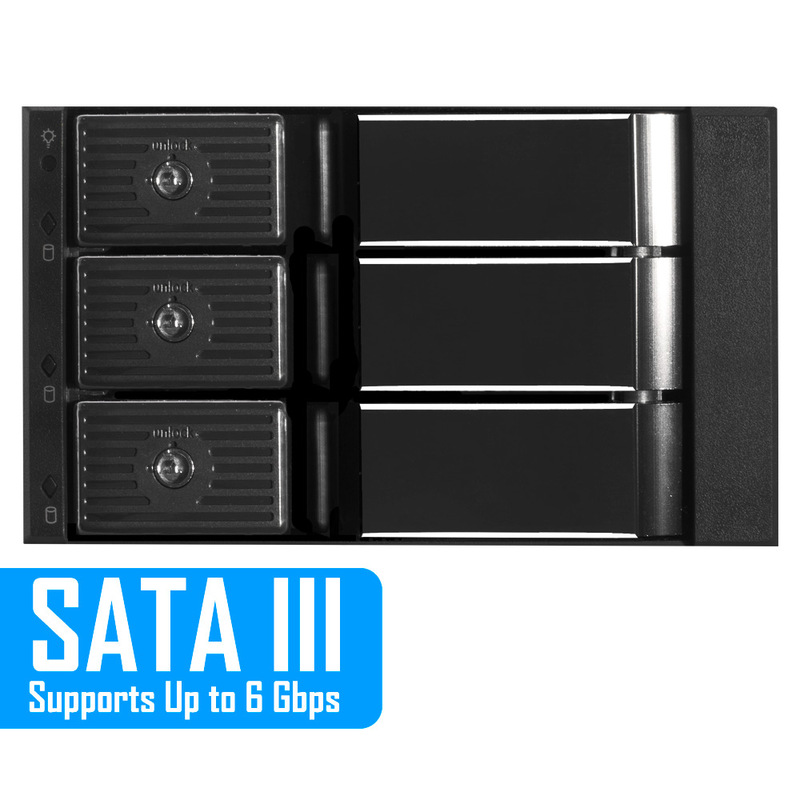 Its Serial ATA interface offers 6 Gbps bandwidth speeds to support drives for SATA III. 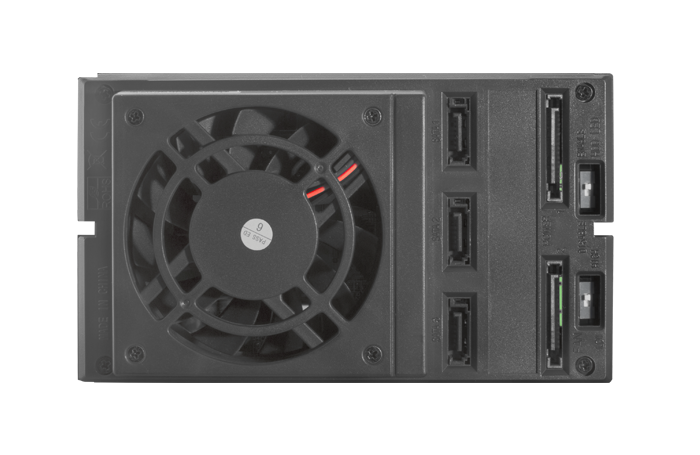 You can also connect 3.5” SATA H.D.D. drives to this 3 bays hard dive rack. It also has an in –built hot swap component that ensures it does not heat up when in use. 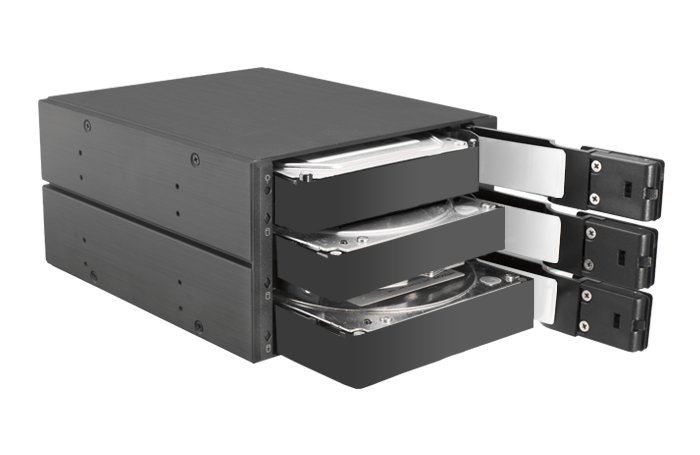 The swapping of hard drives can be done in the multiple bays with the computer still functional. When powered on, the MKS-335TL from Kingwin displays a blue light and later a light that resembles a purple color when information is being read or written. Its overall design is quite good and it is very sturdy for its size and workload. 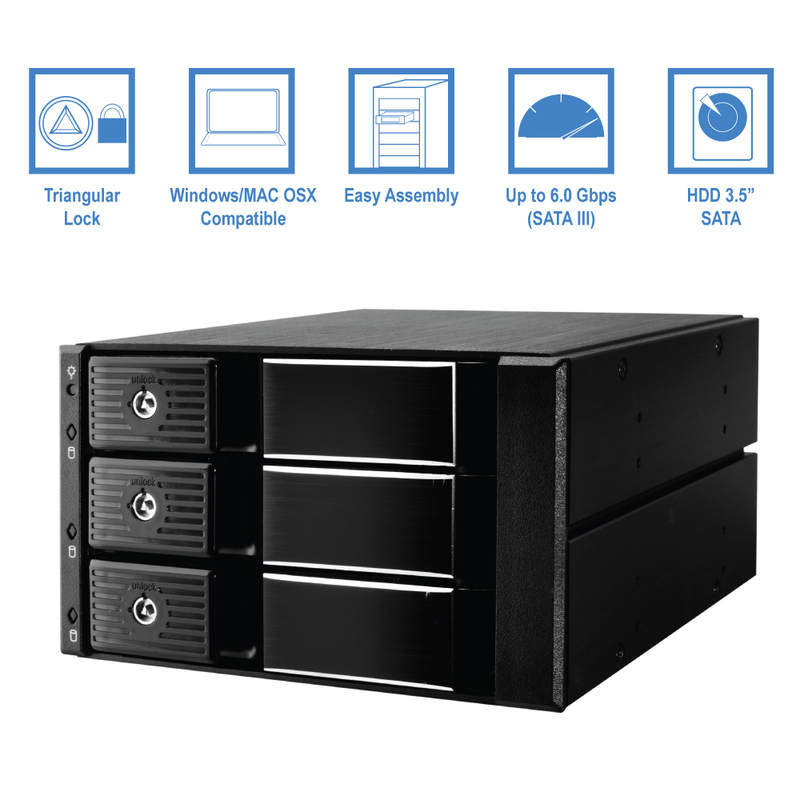 Its locking mechanism is triangular shaped and essential for utmost security of the data on it. For its price range its design is pretty standard when compared with others being sold at the same cost. 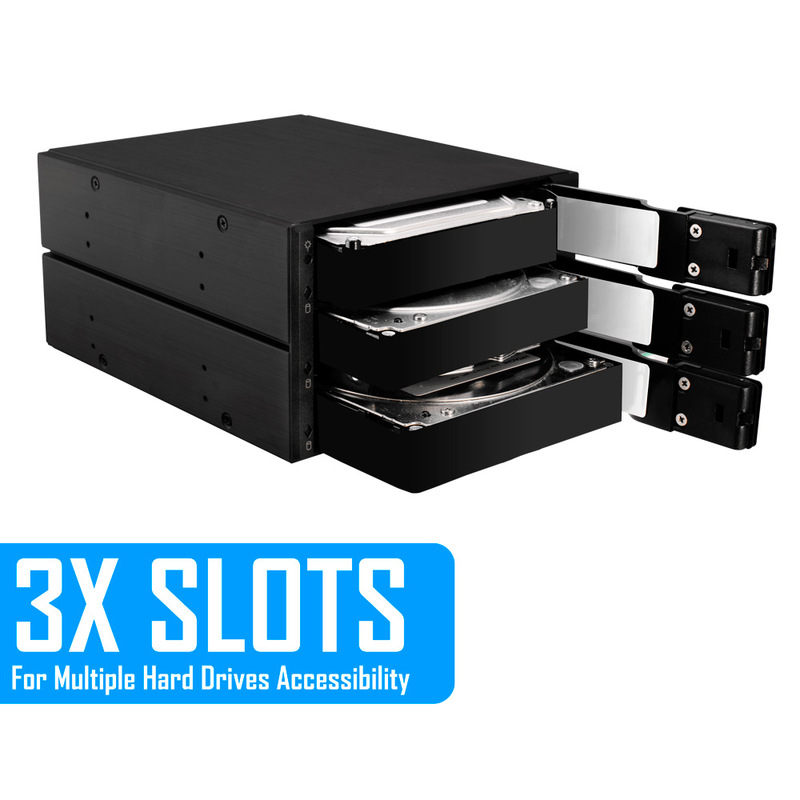 The device that has 3 bay slots that work in harmony with other parts of the unit whether rebuilding or repairing drives. Its HDD LED display has an on and off switch for it to function only when information from it needs to show. The unit is lightweight making it quite portable and easy to place in any part of the office, as long as it is an appropriate environment with proper ventilation. 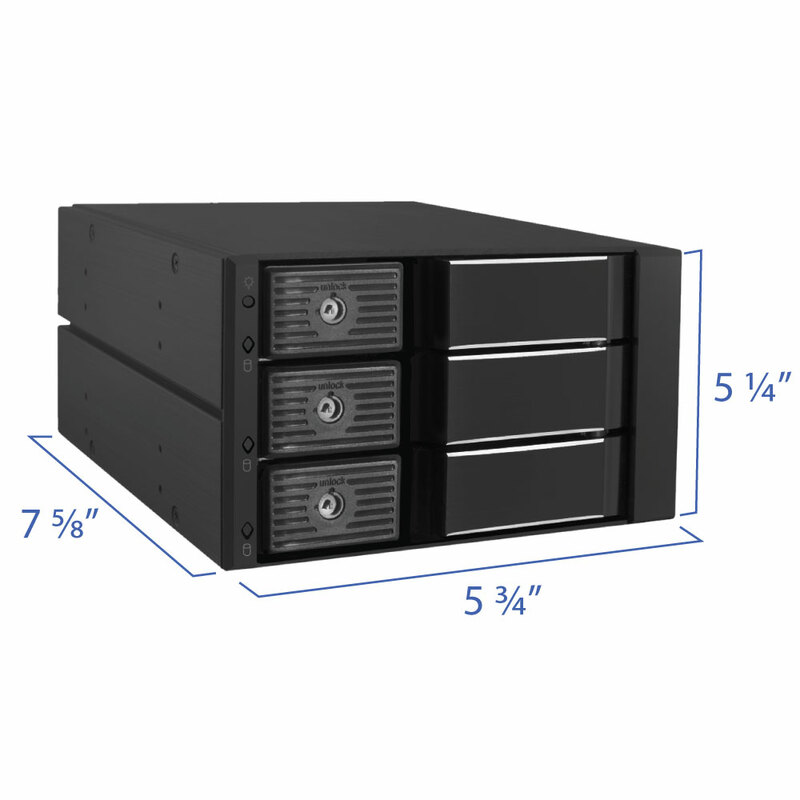 Easy transportation of the 3-bay rack makes it a good choice for IT professionals that are looking for a unit that is effective in its functions yet affordable. For standard 1” height, 3.5” SATA H.D.D.